Stanley Brinkley was appointed by Gov. Bill Owens as a District Court Judge in the 15th Judicial District on Oct. 16, 2001. Brinkley was born on Dec. 11, 1950, in Lamar, Colo., where he still resides. He is a 1976 graduate of the University of Wyoming Law School. 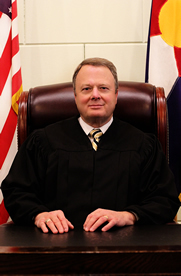 Prior to becoming a judge, Brinkley was in private practice involving civil, criminal, domestic, and transactional law. Brinkley has been married to his wife, Ramona, since 1975, and they have two grown children.